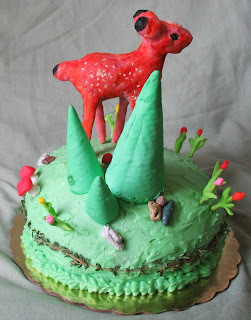 suspect and fugitive: edible book festival TOMORROW! hey, lovely readers! 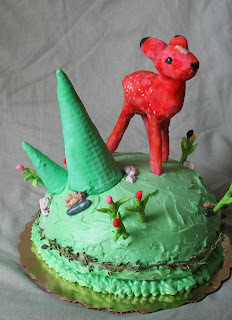 here's the cake based on the book fire bringer (warning: audio!) that i made for the upcoming (as in TOMORROW!) 2009 seattle edible book festival! three pics for your viewing pleasure. if i have more time, i'll crank out another entry. i'm not sure about that though so don't hold me to it. anyway, if you're in seattle, wa tomorrow (3/4/09) from 1-4p, please drop by the good shepherd center! admission is $10 (free with edible book entry) with proceeds going to the seattle center for book arts! p.s.--don't forget! 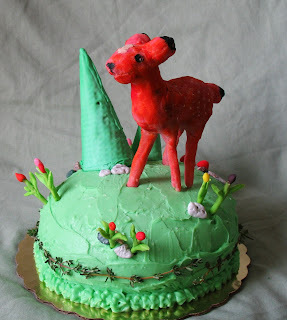 year of deer is still going strong! p.p.s.-- i *did* make an extra piece for the festival. it's called "wonder bread". 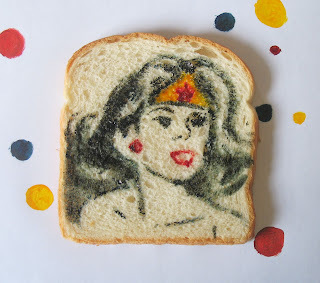 you know, 'cause it's bread and it has wonder woman on it? oh, never mind.